This information was originally published as an article in TRaction the club magazine of the Triumph TR Register and although biassed towards the sidescreen Triumph TR's hopefully it will be useful to owners of other marques. This information has been gathered from personal experience and is believed to be accurate but there is no guarantee that this is the case. Anyone using this information does so on the understanding that its use is completely at their own risk and that no legal liability of any kind will be accepted by the author for errors or ommisions or consequential damage to persons or possessions. Prospective users should make their own considered judgement or seek specialist advice as to the accuracy or otherwise of any statements made before using this information in any way. The procedures detailed below include modifications to both the fuel supply and the cars electrical system if you are not competent in either of these areas you are advised to seek expert help. The recent increase in Classic car thefts prompted me to look at ways to protect my car from the villains. Modern cars are now without exception factory fitted with comprehensive security. Many of these use immobilisers that are embedded in the ECU (Electronic Control Unit or computer) that controls the engine etc. so are extremely difficult to bypass. This is probably one reason why Classics are now a target for criminals and as values increase there is a ready market for spares that are easily disposed of. Classic cars including side screen TR’s are basically very simple in construction both mechanically and electrically with most parts being very accessible, a modern stand-alone electronic immobiliser is thus not appropriate as its presence and function can easily be spotted and bypassed. So what are the options? If your car is targeted by a criminal it may be a random opportunist theft or could be stolen to order. If the latter they are likely to have done their homework and will have a much greater chance of success. All methods of prevention are really playing for time so the longer the methods take to overcome the best chance you have of maintaining ownership. A determined thief may actually be prepared to winch the car into a van or on to a trailer so unless they are caught in the act many of the above deterrents will prove useless. Mechanical devices such as steering wheel locks take seconds for a criminal to overcome so offer little protection. 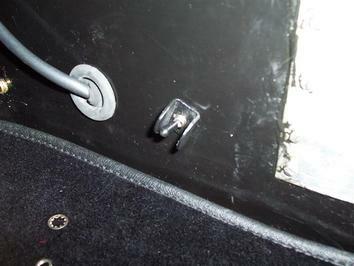 Devices that lock the pedals to the floor are much better but are not widely advertised. Wheel clamps do seem fairly effective but are generally far too bulky to be carried in a TR. Removing the steering wheel is a good deterrent as even seasoned thieves are unlikely to carry appropriate replacements. 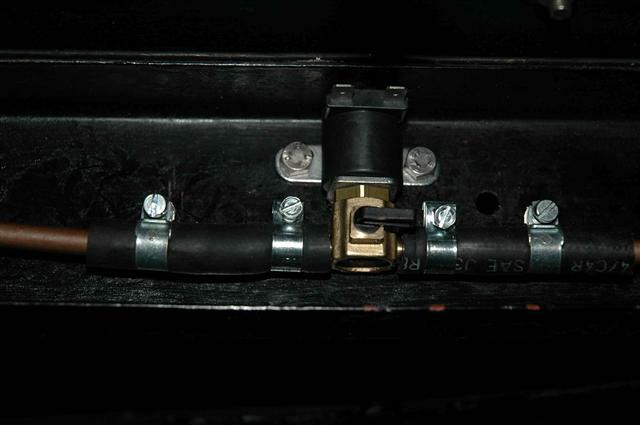 A battery cut off switch is very useful for isolating the supply but a thief intent on action will no doubt carry the plastic keys and can in any case easily short out the switch with a simple cable. 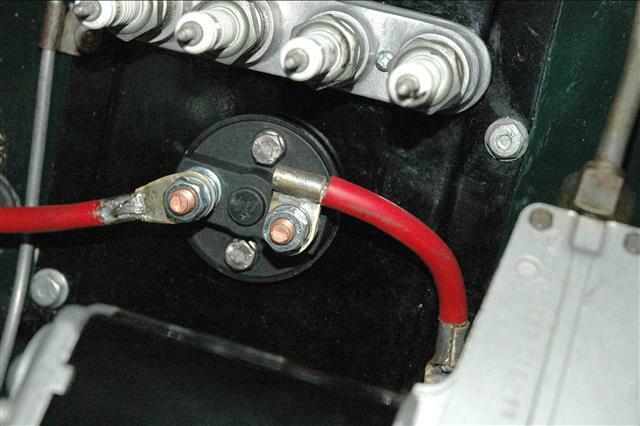 Likewise a simple hidden switch in the ignition circuit is easily bypassed by wiring the ignition circuit direct to the battery. Removing the rotor arm when leaving the vehicle will deter many opportunist thieves but a professional stealing a popular classic such as a Triumph TR or MG to order will no doubt carry a spare. 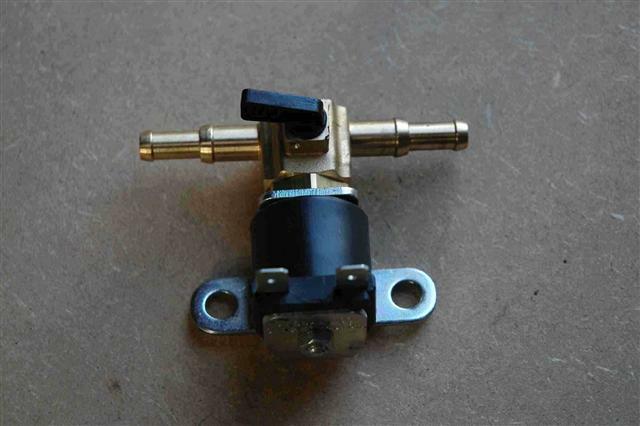 Cutting the fuel supply by solenoid valve and a hidden switch would not prevent the car being started so would not arise suspicion but would soon cause the engine to stall, a car stopping unexpectedly would no doubt unnerve most thieves into abandoning the car. A paging device would seem to offer the big advantage that as soon as the vehicle is being interfered with the owner is warned by a bleeper. Provided the owner is within about a half a mile of the car this should be successful. For cars stolen at car rallies etc. this seems a good solution. The inexpensive trackers mentioned above can also fulfil this function by warning the owner if the car is moved and also enable its position to be tracked. These devices do of course require to be in the service area of the relevant mobile network. would still function if the car was winched into a steel bodied van. Trackers used to be very costly both to buy and for the subscription to the tracking service but over the past few years some inexpensive units have come to the market that may be linked to a normal mobile phone thus avoiding expensive subscriptions. blanking plate was a very convenient position for the switch and avoided hacking holes in the shiny bulkhead. It is close to the battery and the key is conveniently positioned under the glove box for isolation. running. When the valve is activated again the car starts almost immediately. I believe the closed valve causes a partial vacuum to prevent the petrol pump working as the fuel bowl is still full of petrol when the engine stops. 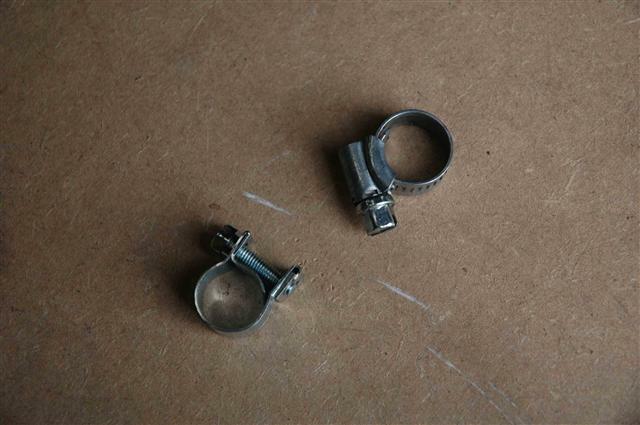 An important point, do not use ordinary jubilee clips to secure fuel pipe, the special fuel pipe clips provide a much more efficient and safer clamp. A basic aluminium cover was fabricated from thin gauge material to cover the fuel cut off switch and secured to the underside of the chassis with two self tappers. If the solenoid valve failed it would be a simple matter to bend the cover and operate the manual tap. A sub-miniature toggle switch was fitted in a hidden but convenient place, but to ensure it was not inadvertently switched off I made up a simple metal guard. If a potential thief opens a door or sits on a seat the vibration is enough to cause the shock sensor to trigger the alarm on the pager. The sensitivity may be adjusted to avoid false triggering. Also if the ignition is switched on, the alarm is again triggered. 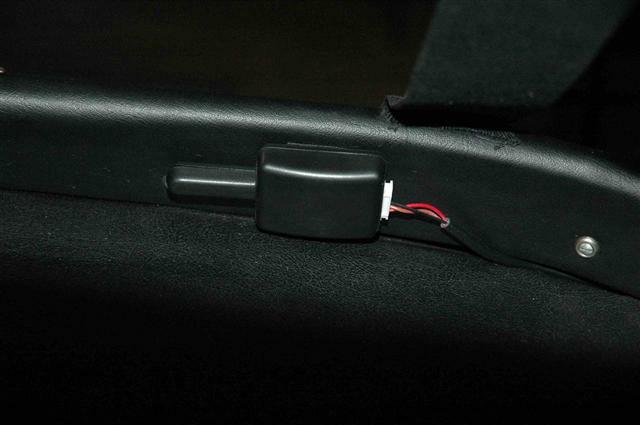 The kit also includes a switch for boot or bonnet should this be thought necessary. A flashing LED is supplied to indicate alarm status. I mounted all the items using Velcro, the control box and shock sensor under the occasional rear seat and the antenna unit on the back rail under the tonneau cover. The pager is claimed to have a range up to ½ mile in open ground, but through buildings or difficult terrain this range would be reduced. During tests it certainly functioned well over 1/4 mile on open ground. Several inexpensive trackers are now available that communicate with a normal mobile phone through text messages (GSM). They use the global Positioning Satellites system (GBS) to send the cars position to the owners mobile. The owner uses their mobile to set up the device. It is quite incredible that these devices are now being sold for £30-40. So do they work? One type of tracker is illustrated here "The GPS Tracker" with a 50 pence coin to show its compact dimensions. Two antennae one for GBS the other for GSM connect to the gold plated sockets on the side. This device integrates into the vehicles wiring system and the package includes all that is necessary for installation. To enable communication the unit requires a 2G Sim card, identical to the Sim Card in a mobile phone, which plugs into the side. If a "Pay as you Go" (PAYG) SIM Card is bought the running costs are very low as text messages only are being transmitted. Check with the Sim Card supplier that it is suitable for use in a tracker as some apparently are not. Since testing this unit unlimited PAYG Sim cards seem to be a thing of the past and are only now available on monthly terms i.e. you have to top up each month with currently at least £5. One company "3" does still offer unlimited SIMs but not a 2G version and although it is said to be backward compatible with the 2G network that may not apply to its use in a tracker only a mobile phone designed to operate with the higher version SIM. The Sim Card must be enabled with the relevant Network provider otherwise it will not function. As the tracker has no dialling facilities the network provider will do this on request if you explain that the Sim is for a tracker. The phone number on the Sim card is now dedicated to the tracker. Alternatively you could use a 2G Sim from a working phone. Full operating instructions are provided in a compact booklet but suffer from being in poorly translated Chinese so do take a bit of effort to understand. With the tracker wired up, aerials plugged in and power connected the side mounted LED initially lights up Red. After a few minutes provided that GSM signals are being picked up the LED flashes Red at one second intervals, This alternates with Green when GPS signals are also received. The tracker is shown here with its two aerials. 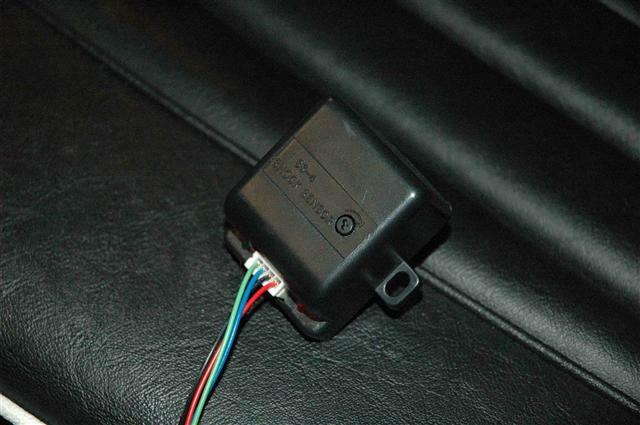 The vehicle interface wiring has not been shown as it is just a bunch of wires with fuses. To initiate communication A simple text message begin123456 is sent,from your mobile phone, 123456 being the default password, this password may be changed. The tracker then replies by text message begin OK to confirm conmmunication. If you then simply phone the tracker (not text) it will reply with a text message giving the Longitude and Latitude of its current position. In addition it also gives the LAC code of its position that allows a smart phone to show its position on Google maps. That is basically how it operates, but there are numerous refinements depending on how you wish to set it up. 2. You can set up a Geo Fence, i.e. a rectangle of Longitude and Latitude so that if the tracker moves outside the defined area it will alert the owner by text. And many more functions not perhaps all useful. The tracker appears to be well made and is compact, It was straightforward to set up and operate (once the Chinglese) had been deciphered. It is a very cost effective way of tracking a vehicle, a Pay as you go 2G Sim card and top ups are the only real expense. The aerials would need to be concealed in some way, under the rear of the tonneau cover in a TR perhaps to avoid detection. The current drain on the vehicles battery was measured at 120 milliamps quiescent rising to 180 milliamps during a call. So maybe not a long term answer if the car is laid up. But certainly OK for parking for a few hours while at a car show etc. where many cars seem to be stolen. To acheive this level of technology for £30-40 I think is quite amazing. The TK 102 Nano is a self contained very compact unit marketed by Rewire Security that appears to have a similar chip set as the GPS Tracker tested above but with a few significant differences. There are no external aerials and the unit is much smaller. It is not designed to interface into a vehicle but rather act as a standalone unit. An inbuilt shock sensor will detect movement and text a registered mobile phone. It is supplied with two batteries, a mains charging lead and a magnetic back to enable easy installation. An external 12 volt vehicle power lead is available as an extra. Note: There are many similar looking devices for sale on Ebay and Amazon but judging from buyers feedback not all perform to the same standard or specification as the TK102 Nano. The charge remaining in the internal battery. An SOS button if pressed will send texts: “ Help Me” and its position and call a designated phone. In “shock mode” if moved it will alert a designated phone with the text: “Sensor shock” and its position. A geo fence can be set up so that if the tracker moves outside a defined geographical zone it will again text your phone. The unit due to its compact dimensions would appear to have numerous applications not least as a vehicle tracker. Most Trackers operate over the 2G network phone network and so a suitable SIM card needs to be purchased and configured to work in a tracker. As usage is fairly minor mostly involving texts a “Pay as You Go (PAYG) SIM” would seem to be the least expensive option. Currently PAYG SIMs with unlimited top up times appear to be unobtainable unless you already have one working in a mobile phone, monthly top up is now the norm. One company Lycamobile does offer PAYG 2G SIMS with 90 days top up which is the best deal I could find. So with the minimum £5 top up every 90 days the running cost dependent on usage could be as low as £20 /year. There are numerous features that can be set up on the tracker not all seemingly that useful and extreme care needs to be taken when sending set up commands paying particular attention being paid to the syntax. For example when registering your mobile to the tracker it must be registered as an international number of the form: +447714388765, sending 07714388765 will not work. Where “spaces” are detailed these must be included in your text. Sleep mode Several battery saving modes can be selected but in the basic tracking mode i.e. calling to establish its position it reverts to Sleep mode after 5 minutes of inactivity shutting down the GPS but maintaining phone contact. It can be awaken by calling its number. The tracker wakes up, re-establishes GPS and responds by sending texts detailing its position before it entered sleep mode and its current position. In this mode the battery appeared to last for up to 4 days but any prolonged movement would reduce this. As the battery gets low on charge the unit sends warning texts to the registered phone at 10%, 5% and battery exhausted. Deep sleep mode can be set up so that only movement will awaken the device, three levels of movement sensitivity can be programmed. In this mode both GPS and phone contact are shut down. Only movement will reawaken the device. It then sends a text to the designated phone. Battery life is maximised in this mode and is reputed to last up to to 15 days. In my tests I awoke the tracker once every 24 hours and a fully charged battery lasted for 8.5 days. This mode promises to be the most useful for protecting such as a car trailer that may be left unattended for extended periods. A word of warning, if the device is left in shock mode, every time a movement occurs sufficient to trigger the Nano 102 it will send a text to your phone so if moving the trailer or vehicle switch off the shock function otherwise you will have a string of "shock activated" texts on your phone and will soon exhaust your SIM card credit. When the battery is running low the TK102 will send 3 text messages: at 10% , 5% capacity and just before it is completely flat.This is the default setting and must be turned off to stop these messages. Due to their relatively minor purchase and running costs many other uses are possible. The first Tracker (GPS Tracker) only needs an external contact to close for it to send a text to the designated phone. An example could be remote monitoring of the temperature in a holiday home. By arranging for the external contact to be a room thermostat set say to 10 degrees C, if the boiler fails then the room temperature would drop below 10 degrees causing a text to be sent. In this case a separate 12 volt power supply would also be needed. No doubt readers can think of numerous other potential applications. Many companies sell these devices but a word of warning, not all have technical expertise should something go wrong. I dealt with ***Rewire Security and found them most helpful. SIM cards ordered from Lycamobile never appeared but rewire security sell them for a couple of £s already configured and were sent by return post. There are several trackers that look identical to the TK 102 but reading reviews not all work as described, Rewire Security can also supply a 12 volt lead to power the device externally. They do charge a little more for their version but include an operation manual written in normal English this alone is worth the extra money as the basic unit has a “Chinglish” manual that is anything but easy to follow. Mechanical deterrents are unlikely to be successful unless the thief is an unprepared opportunist. A wheel clamp could be successful but these are too bulky for most sports cars. Removing the rotor arm and or the steering wheel could deter theft but a determined professional villain may have a trailer or van to winch your car into. Parking in such a way as to prevent easily loading onto a trailer is a good method e.g. parking close to other vehicles or a wall etc. Cutting the fuel supply could unnerve the thief as the car would start normally but stop suddenly. A pager would alert the owner if the car was started or moved but has a limited range of around half a mile. Pagers will operate in areas where mobile phone signals are poor or absent. A tracker would seem to be ideal but would need to be in a mobile phone service area to operate and once in a steel bodied van would not operate. Tracker jamming devices are available as is GPS detection equipment although the latter are expensive. So whatever method you chose the villains usually have a way around it. Most devices should deter an opportunist thief but a determined professional stealing to order is a different proposition so the more difficult you can make it for them the more chance you have of them looking elsewhere.